Now, is it worth spending the extra on the EM5900 and grinder? Or would I be just as good with the Roma/EM4800/EM4820? They're all thermoblock machines so not sure about difference between them apart from finish quality? From what I've read the Cafe Roma can be a decent machine to start off on, any thoughts on the Sunbeam machines? I can't make any comments on your listed machines as I have never used any of them. Just a suggestion to try out the Aldi espresso machine for $150, three years warranty and you can take it back in the first 28 days if required . Same also for their $50 grinder. I suspect however the grinder is too cheap to be any good. The espresso machine would be similar technology to your listed machines. My local Aldi always have one of each on display and probably have twenty out back. The manual is in CS documents due to my earlier curiosity . Just for the record I have no connection with Aldi. I wanted to give you a reply, hopefully more experienced members will give you the specific advice you have requested. Good luck. Some of us have used Sunbeam Products. Some say the 4820 is a good entry level machine, and equally the 5900. I have an EM 6910, paired with an EM480 grinder. 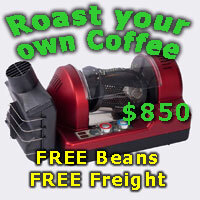 In our campervan currently it is an EM 5600, with an EM 440 grinder. I think the burrs and settings on the above grinders and the 450 are the same. If you go ahead you may find you need to "tinker with" the grinder to get it right, (fine enough) many have not been set correctly. It involves fitting some thin washers. Not hard to do at all, and makes a hugh difference. I am about to get an EM 4820 for my campervan. Not sure any of this helps. But whatever you do, have fun and enjoy. I don't know the Breville machine, but I suspect all the machines you have listed have 51mm dia baskets, whereas the EM 6910 has 58mm baskets. Perhaps important later on if/when you want to start experimenting with different baskets and naked portafilters.